GET THERE. One needs to take a ferry to get to the island. Sweeping views from the ferry. IN THE Guangdong Province of China, a Chinese mining company created the world’s first cloned village. 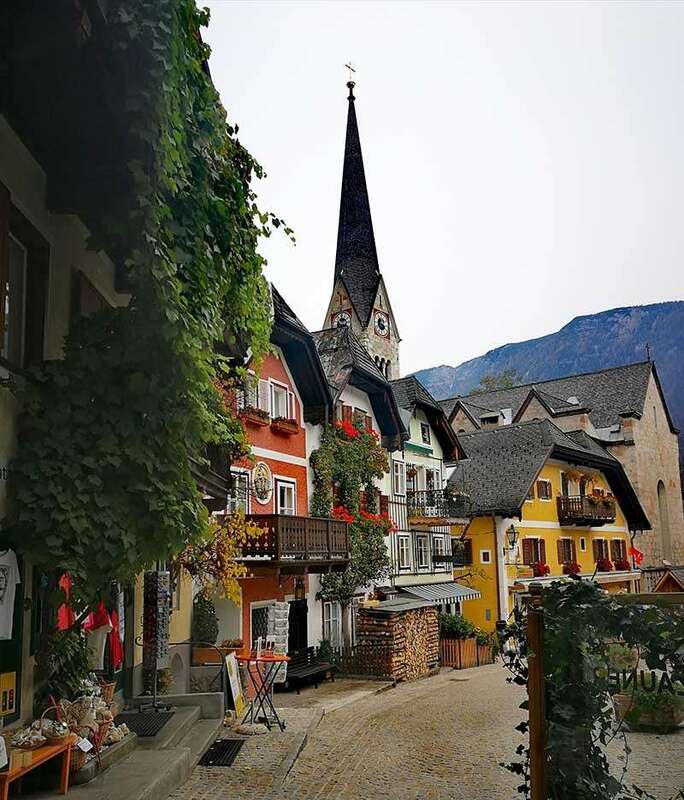 An almost perfect recreation of the Austrian Village of Hallstatt, it has existed since 2012 for the truly rich who wanted a piece of the real estate they could not get from the original town itself. 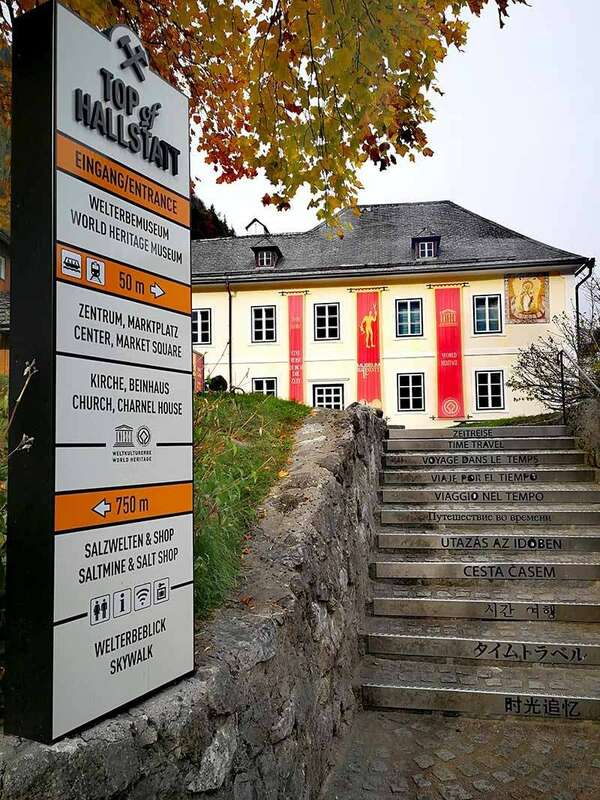 I had come upon this story many years ago, but did not even bother with the details, until I got off the train and got on the ferry that would take our group to this famous town in Upper Austria, in the region of Salzkammergut, which had been inscribed by the Unesco World Heritage Committee since 1997. 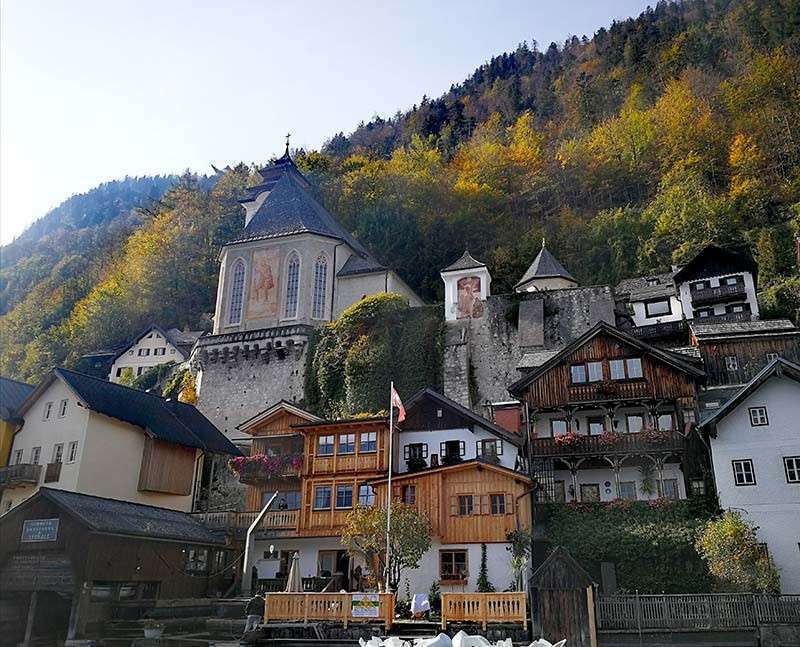 In the past, this town was once an area of great prosperity thanks to salt production (the world’s first salt mine was here) that goes way back to prehistoric times. 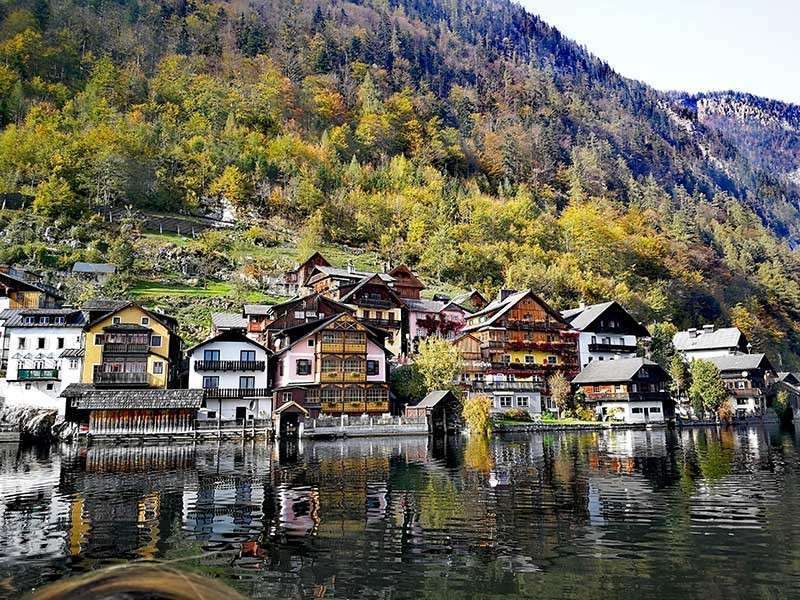 As the ferry approaches the town, you are met with sweeping views of its lakeside architecture that has long been the subject of thousands of photographs. 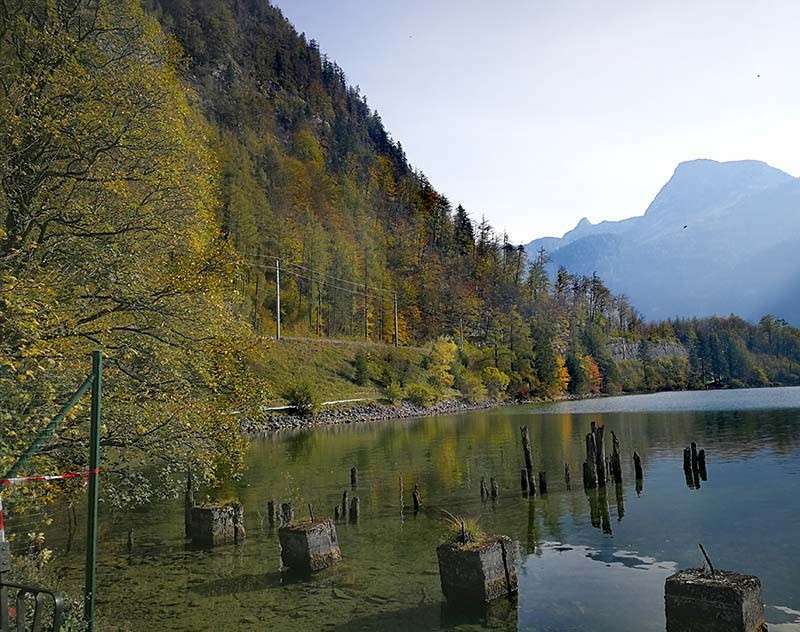 It is not known as Austria’s most beautiful for nothing. Your first sighting of it – with the sun shining on the town, is unforgettable. I was now relieved that our tour bus had left us, since I would not have seen this view if we arrived by coach. We sat down to lunch at a lakeside hotel. I was not in a hurry to order. I instead gushed to the server: What a beautiful town this is! You are so lucky to have this view everyday! He just shrugged and replied: Well, not really, not after 50 years of being here. I was taken aback and realized quickly that indeed, the grass is always greener on the other side of the fence. 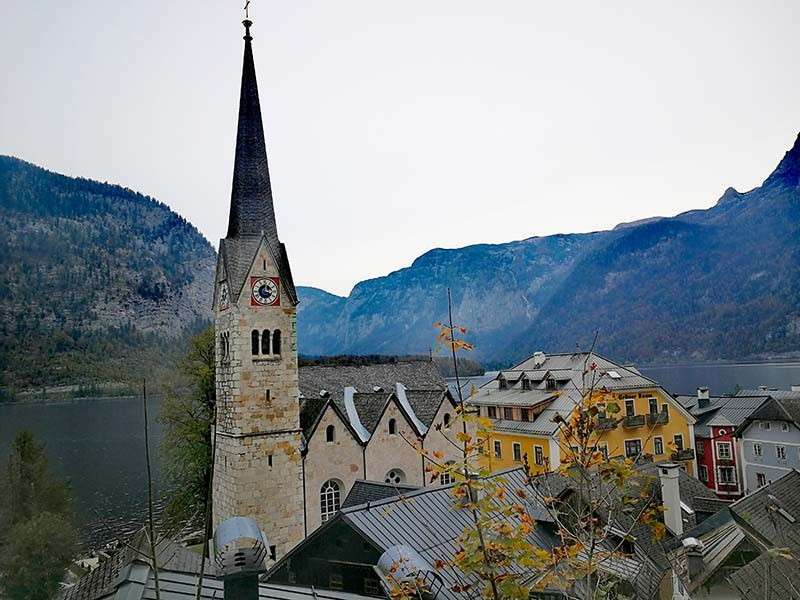 At a walking tour after lunch, I learned from the guide that since the salt mines closed, the population of Hallstatt has been dwindling because the younger generations have left to seek jobs in the city. The last figures place its current population at around 700 or less. You wonder how someone would want to leave this place, but in your heart, you also understand why. An hour of leisurely walking is enough to take you from one side of town to the other; although there are areas that require some amount of climbing, you are rewarded by views that are so serene and breathtaking that you are tempted to just sit and stare and sigh. 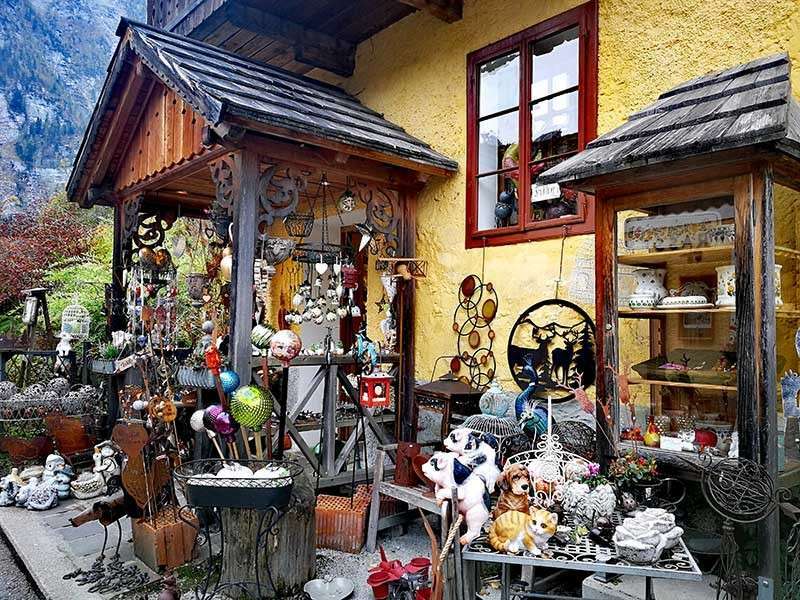 The thought that this town might one day become a museum because of its dwindling population now seems more feasible; I would rather it be protected that way than to see it warp into a more commercial tourist trap. That would make me so sad. By mid-afternoon, our day in this paradise soon came to an end. 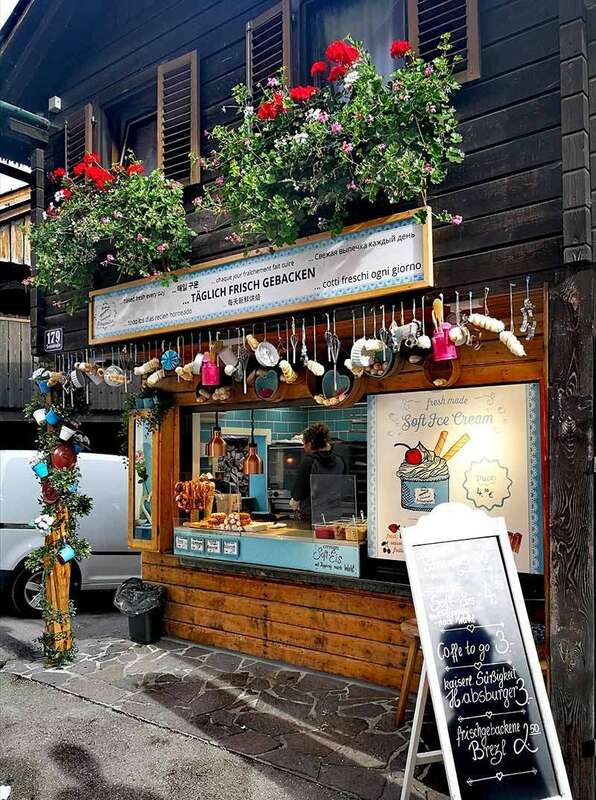 They say this place even looks dreamier in winter; maybe it comes alive during the holidays because that’s when the locals will have their families back in their warm embrace – even for just awhile.